The Dhubri district administration has issued a directive banning the use of plastic bags below 50 microns with immediate effect from August 22, 2018. District Magistrate Ananta Lal Gyani has directed all the concerned concerned namely the Dhubri Municipal Board, Gauripur and Bilasipara Town Committee including the Superintendent of Police, Dhubri to ensure the ban on single use plastic products, plastic carry begs, plastic containers, etc. across the district which have been polluting the environment and giving rise to ecological imbalance. Any violation of this order shall be punished under the provision of Section 188 of the IPC and under the relevant provision of law, stated the order. 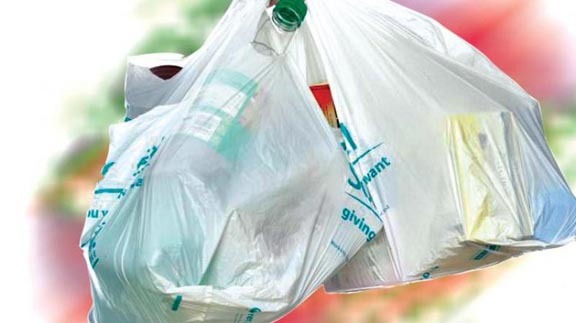 In the order, District Magistrate Ananta Lal Gyani stated “sale and use of carry bags made of recycled plastic for storing carrying, dispensing or packaging of food stuff is most harmful and unscientific, being anti-eco-friendly”. Asserting that “use of polythene bags clog the drains, water channels and thus create artificial flood disturbing the normal life of citizen”, the DM stated, “the use of polythene and dumping of plastic materials damages the road, reduce the natural beauty of the town and causes overall pollution of environment”. As per the order, “No person shall manufacture, stock, distribute or sell carry bags made of virgin or recycled polythene bags or compostable plastic, which is less than 50 microns in thickness; no person shall use carry bags or container made of recycled plastic or biodegradable plastic for storing, carrying, dispensing or packaging of food stuffs. It also stated that “No person shall manufacture carry bags or containers or pouches or multilayered packaging from biodegradable plastic unless these meet the Bureau of Indian Standards specifications: IS/ISO:17088:2008 entitled ‘Specifications for compostable plastic'” and no person shall manufacture, stock, distribute or sell non-recycled laminated plastic or metallic pouches, multilayered packaging and non-recycled plastic”.